Mold needs four things to grow - water, oxygen, food and the temperature sweet spot of 41 degree to 104 degree F. Temperature, oxygen, and food are difficult to control and still maintain a comfortable living environment. (Who wants to live in a 40 degree home?) This leaves water. 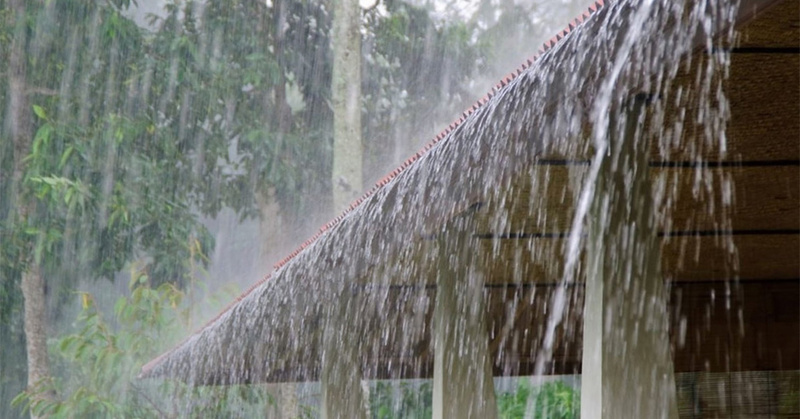 While it is not always possible to stop water from entering your home, especially during periods of sustained moisture, it can be removed from the equation through proper drying. To make sure water hasn't compromised the building envelope it is a good idea to occasionally take a walk around the inside and outside of your home looking for signs of mold. Inspect your basement for damp walls or cracks where moisture can come in and seal them. Scrub mold off hard non-porous surfaces with detergent and water, and dry completely. On porous surfaces, in addition to surface cleaning you need to completely dry the material in order to prevent its reappearance. If that can’t be done, you may need to remove the material. Inspect the exterior of your home at ground level. If water is collecting there, divert it away from the foundation. If you find mold, you’ll first need to clean the area. Make sure to cover your face and hands to minimize exposure. It is also important to put a fan in a window and blow air from the room out of the house. If a significant area is affected or if you begin to feel “allergy type” symptoms when working around mold, call an expert to clean it out. We’ve made a lot of changes to how we build in recent years in order to conserve energy and lessen our carbon footprint. Many of the things we’ve done to improve our habitat and increase energy efficiency have, unfortunately, also created an ideal environment for mold to thrive. The only chance we have to keep mold from becoming a full-time member of our households is to eliminate the presence of water in our dwellings.